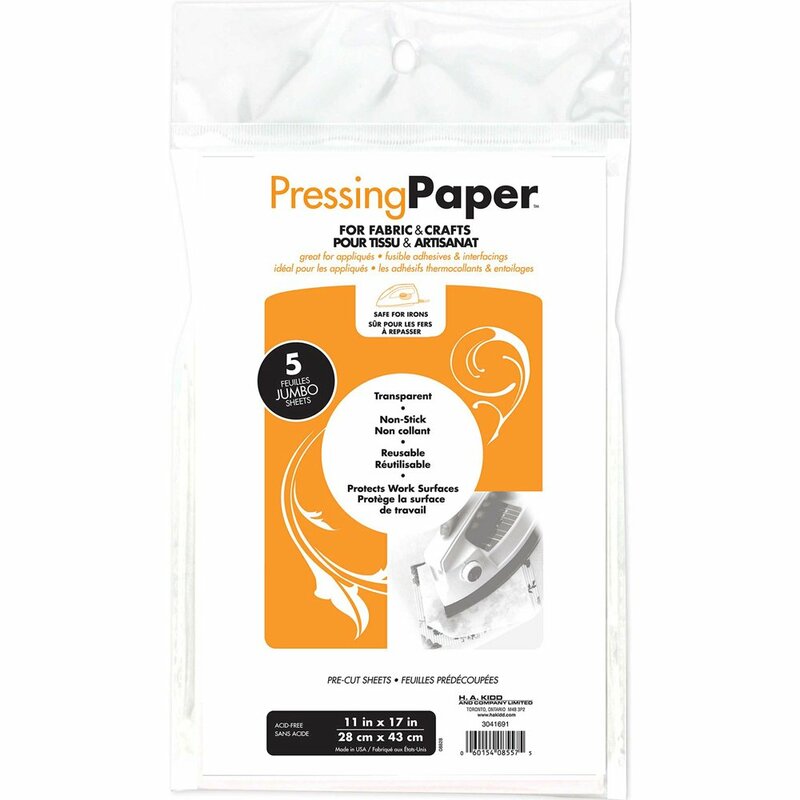 Pressing Paper protects your projects from the hot iron (and your iron from accidental exposure to adhesive!). See through and reusable…just roll it up and store it until your next project! 28 x 43 cm / 11” x 17”; 5 sheets per pack.